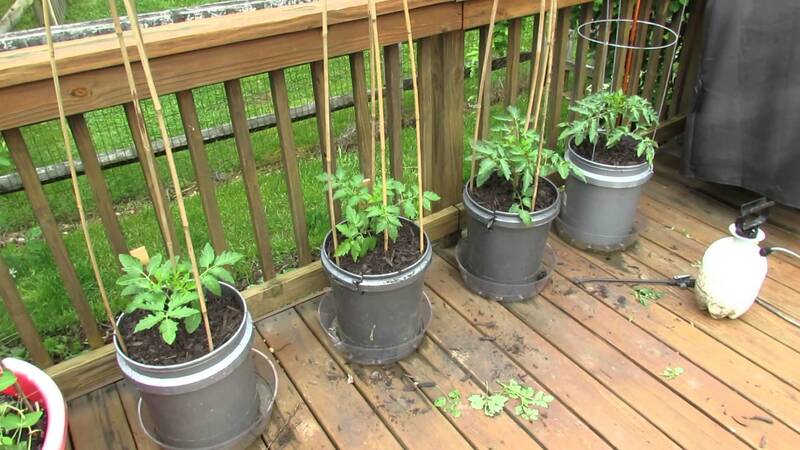 How to grow your own tomatoes in pots! Contrary to what you may believe, you do not need a garden to grow your own fresh and juicy tomatoes. All you really need is one large container (or more depending on how many you want) and a spot outside that gets a lot of sun. Soon, you’ll find that growing your own tomatoes is a rewarding – and delicious –experience. After all – there’s nothing tastier than a homemade Italian pasta sauce! The best time to plant for the red veggies is in spring, when nighttime temperatures reach higher than 40 degrees Fahrenheit. Pick a place on your patio, or anywhere outside that your container may soak up at least six hours of sunlight (preferably eight!). You may want to confirm that the spot you intend to designate your makeshift garden does in fact receive the minimum amount of sun required. Keep in mind that you may need to make provisions to move it as summer nears, to accommodate different locations if you’re growing in a walkway where it is not exposed to the sun consistently. Avoid using metal containers; in extreme heat they can burn the roots. Be certain that there are drainage holes on your chosen container. If there are not, simply drill them in yourself. You may use a smaller pot, if necessary, IF you correctly choose the type of tomato to grow. There are varieties that stop growing at a certain height. But many tomatoes won’t stop growing until they reach six feet or taller. In such case you would naturally want to choose the largest pots possible and be certain to leave a space of at least a foot between the individual potted plants. Long growing tomatoes, like the heirloom variety, need to be able to breathe uninhibitedly. If your tomatoes start to grow out of hand, you might want to consider pruning them. Though many gardeners and homeowners don’t find it necessary, quite a few individuals keen on gardening do think it’s best to prune their plants. When growing tomatoes from seeds, be certain to put them in seed trays first. Using small containers, pot the seedlings. Be certain the pots are ready to go with drainage holes. After they reach over four inches tall move them into a larger container. Place the container in your sunny spot of choice, filling it halfway with fresh potting soil. Add pro-growth ingredients like bone meal, compost, kelp meal or slow releasing fertilizer pellets. 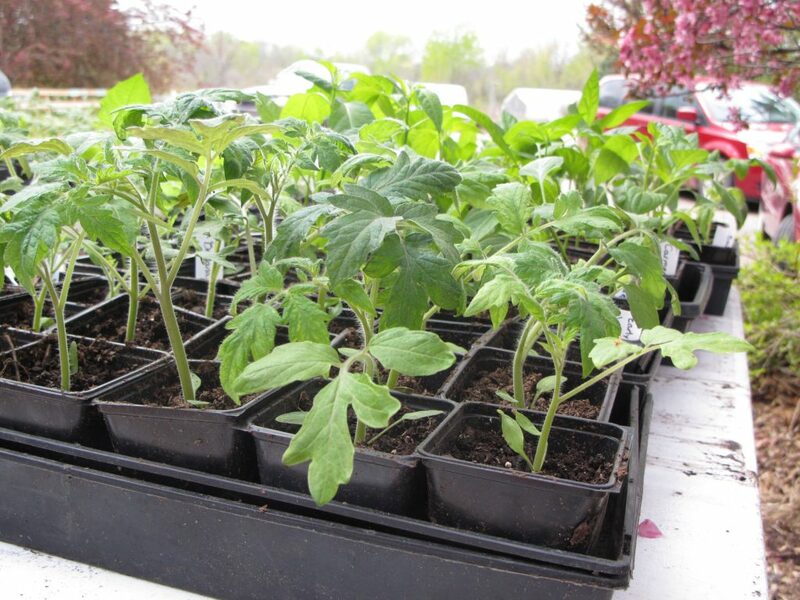 Follow this rule of thumb – place tomato seedling on the center of the confined soil mound. You can adjust the soils height to ensure that only two sets of leaves from the plant will be visible above the surface after the pot is full. This is a trick known as ‘deep planting’ that causes the plant to form roots along the stem beneath the soil level. This ensures a strong robust pot system, thereby offering a healthy plant. The more secure the root system the better the result will be – perfect tomatoes. After the seedling’s height has been set you should backfill the container with fresh potting soil. Leave two leaves exposed above the surface. After planting is done be sure to water well. Meanwhile it is important to acknowledge and work with the fact that all growing tomato plants need physical support. Dig in an actual support post now. When using bamboo or stakes of another type of wood, stick a single one in the center and, if you wish, place three or four additional ones around the pots edges. Now you’ll have all bases covered, and all branches will have a means of backing. 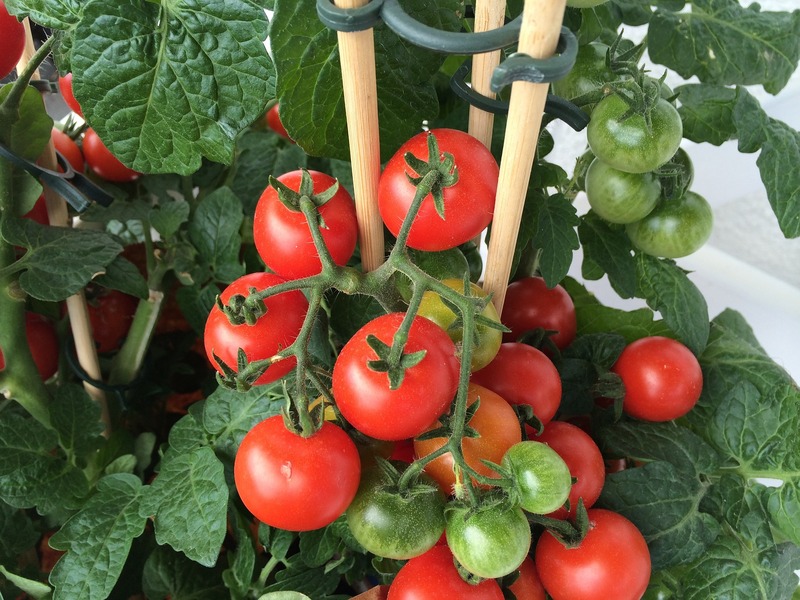 In the case of tomato cages, put them in place early, over the plant in its center. You could use plant ties to fasten the main stem in place as well as the thicker lateral branches, all to the trellis frame. Besides watering regularly, it is also necessary to fertilize your plants. Plan to do so every other week early on, and you will eventually taper off as the plant blooms. 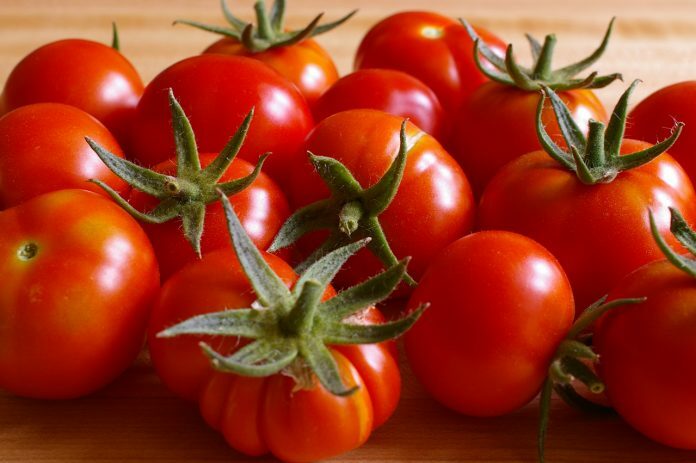 Use a fertilizer with a good balance that is specially formulated for tomatoes and other summer crops. Don’t go with the fertilizers that are too high in nitrogen, they will only serve to enhance the stalk and leaves over the tomatoes themselves. There’s nothing more satisfying than harvesting your own large delicious tomatoes. Be certain to use containers with ample space. Always remember to water your plants properly and ensure that they get plenty of sun, and you’ll be a successful tomato farmer for certain. 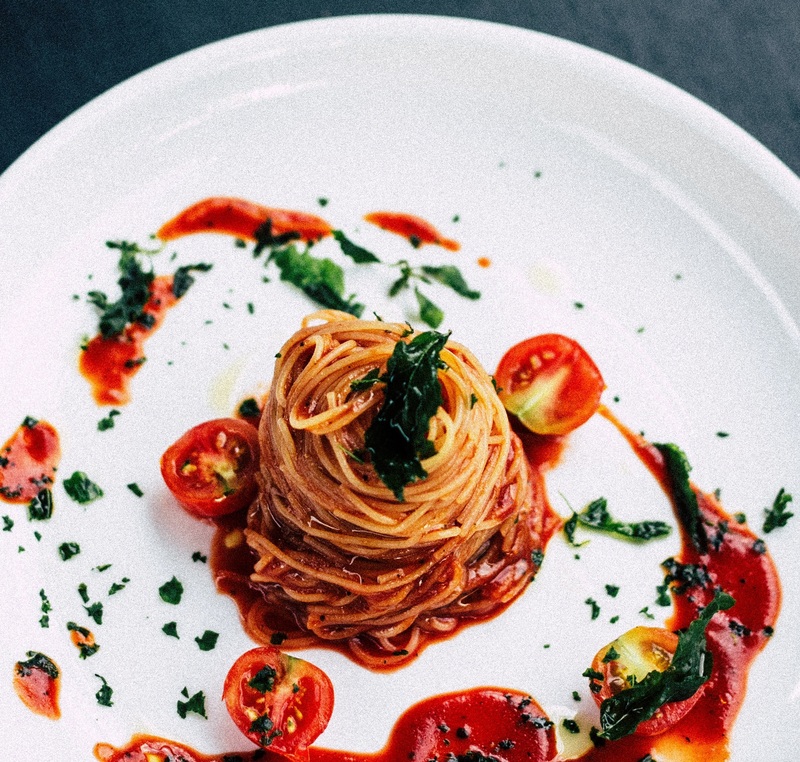 With your fresh, ripe tomatoes straight from your garden, you can finally cook up the perfect tomato based pasta.